The hotel is as beautiful as its name. 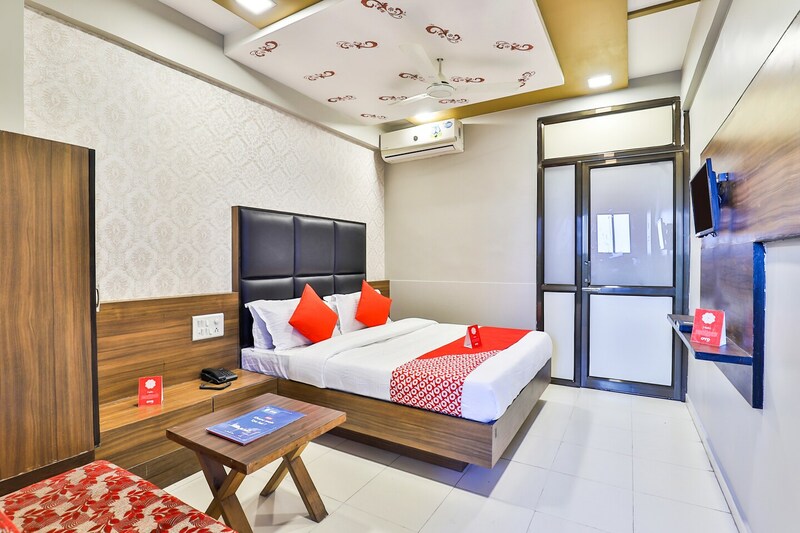 Hotel Amber is a pocket-friendly pick for travellers coming to Ahmedabad. The rooms have textured walls with furniture having a sleek finish. The contrasting theme brightens up the rooms. The cushioned headboard makes for a comfortable stay at the hotel. Basic amenities include free access to the wifi services, good parking facilities, card payment options and laundry. Several CCTV cameras have been set up to ensure safety of the guests. Many eminent landmarks of the city are located quite close to the hotel, making commutation easier for the guests. The Vallabhbhai Patel International Airport is at a short distance.